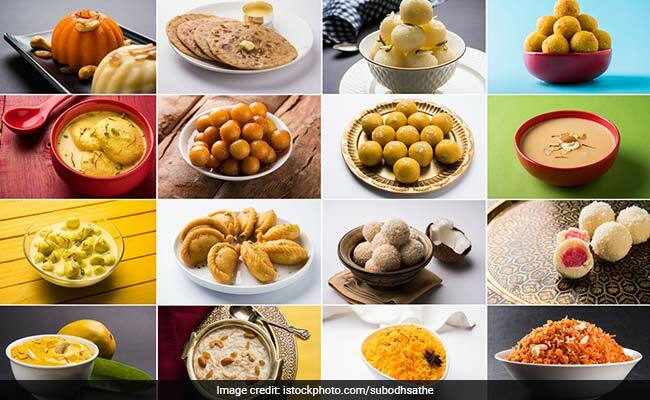 Celebrate Holi with these deliciously irresistible regional desserts! Holi 2018 is finally here if you're anything like us, you would be having trouble keeping calm as well. The season of fun, frolic, festivities and loads and loads of laughter is here. It's that time of the year, when painting your face with all the colors in the rainbow isn't childish and the same goes for stuffing your face with lots and lots of sweets and fried foods. Holi re-unites people and reminds them to channel their most fun-loving selves, and of course to never forget the pleasures of the palate. As colorful and diverse the celebrations and traditions of the festival are, the food is equally diverse. Different Indian states have their own flavors that are brought out during Holi, and the showstoppers of the Holi platters are always the desserts. Although gujiya is the most popular sweet associated with Holi and Diwali, there are a number of regional desserts as well that are equally sensational in taste and flavor. Peas are the versatile veggies that can be incorporated into anything from snacks to flatbreads, starters and even desserts. The milky creamy kheer is rendered ever more nutritious and sweeter by adding the green peas to it. Mattar ki kheer is a dessert prepared in Punjab and Uttar Pradesh and you must try it out this Holi. You'll surely see your family and friends' surprise turn to delight as they taste this unique dessert. Who isn't familiar with the syrupy goodness of the fried Indian pancake malpua? This delicious and rich Indian dessert is a delight that is enjoyed in several states of the country and goes amazingly well with the festive spirit of Holi. Chaler payesh is a Bengali style rice pudding that is enjoyed at almost every occasion. The preparation and ingredients are very similar to kheer, with the only difference being in the variety of rice used. Payesh is made from a buttery and sticky rice variety grown in Bengal and called Gobindobhog. This sweet Maharshtrian preparation is a hot favorite during festivals. The sweet flatbread is served with generous helpings of ghee on top to satiate your most greasy cravings. The dish is also enjoyed in Goa, Gujarat and some South Indian states. Lovers of milk sweets will appreciate this one. The kesar malai peda has a rich taste thanks to the full-fat milk and the saffron and a grainy texture. The peda is a sweet that makes you feel strangely nostalgic. Often the sweet is laced with a little bit of bhaang for the extra kick. The sweet has a explosion of flavor thanks to cardamom and jaggery that are mixed with the curdled milk, and is finished with pistachios. In North and West Indian homes, shakkar parey are a regular feature during festivals and Holi is no exception to this rule. Made by coating fried squares of refined flour with sugar syrup that is then left to solidify, the shakkar para is a popular Indian tea-time snack as well. They're easy to pop into your mouth when you're off to chase one of your friends' to douse them with colorful water. Tahiri is a Sindhi sweet rice dish that is prepared during Holi. Made by cooking boiled rice in spices like cardamom and saffron and sugar syrup, these sweet rice are intensely satisfying during Holi, as they give you the much-needed sugar rush, with the fulfilling taste of a rice dish. Tahiri also has black raisins and is garnished with dried fruits and chopped nuts. Holi marks the unofficial beginning of the summer season and some kulfi during the celebrations won't hurt at all. Serving badam kulfi during your Holi party this year is sure to make you very popular with the kids as well as with all your guests. Have a safe, delicious and happy Holi 2018!